The mainstream media hate Donald Trump. They take every opportunity to rip him for every small detail. But now the press is becoming increasingly hostile toward Trump’s family in a vile way. Donald Trump ruined the Democrats’ plans. They thought they had 16 years of progressive policies sewn up. But Trump upset the apple cart. And now the Democrats are out for blood. They’re intent on destroying him. The first order of business was to form #TheResistance. Leftists are attempting to overturn the results of the 2016 election through an all-out assault on our democratic processes. And they also attack his family. Stephen Colbert went after Don Jr. for a social media post where he poked fun at socialism. Colbert used his monologue to extol the genius of Karl Marx And Friedrich Engels. Late-nite comedian Samantha Bee called Ivanka a “feckless c*nt” because Bee didn’t like Trump enforcing immigration law. She and fellow comedian Chelsea Handler even implied an incestuous father-daughter relationship. If that isn’t low enough, it gets worse. Actor Peter Fonda suggested Trump’s adolescent son Barron should be molested as payback for southern border policy. The left is truly vile. Melania Trump perhaps understands this more than most in the family. Michelle Obama was glamorized by the media. She graced the cover of dozens of magazines. Melania was an actual fashion model. But almost all of the fashion magazines have excluded her from their covers. Some fashion moguls even refused to design for her. The media label her dumb even though she speaks six languages. Late-nite comic Jimmy Kimmel even expressed glee at the idea of Melania filing for divorce. 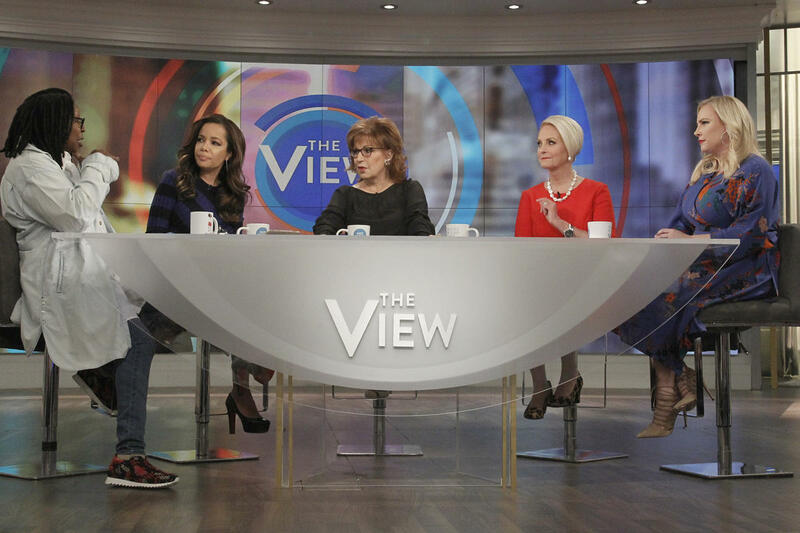 But “The View” took it a step further. The morning talk show has always leaned left. But now it’s become a far-left screech-mob with a splash of conservative pushback. The latest “controversy” revoked around Melania wearing a pith helmet on a trip to Africa. This made the left furious. They said it was a sign of colonialism, and that someone should’ve stopped her. Speaking of not knowing, nobody cared until the press made it a big deal. The pith helmet has a practical application. So much so that the Zimbabwe presidential guard wear them to combat the heat. It’s no wonder Melania wore a jacket expressing her indifference toward the unfair press treatment. For eight years, the mainstream media sat on their hands. They handled the Obama administration with kid gloves. Only Fox News had the temerity to cover Obama honestly. Now that a Republican is in the White House, the media believe it’s their duty to be the watchdog. They barely batted an eye during Obama’s scandals. Now they try to scandalize curtains. A recent study by the Media Research Council shows that 92% of Trump coverage on the broadcast networks is negative. Considering record highs in the stock market and record lows in unemployment, that seems absurdly skewed.